Last month marked the tenth anniversary of the Nintendo DS system's launch. It feels only right to celebrate with a top ten list making note of my favorite games for Nintendo's dual-screened sales juggernaut. As you can see with this list of quality games, plus ones that couldn't make it on this list, the sales of the Nintendo DS were certainly well deserved thanks to the incredible library. After I've listed mine favorites, why not chime in with your own, or feel free to agree/disagree with my picks! 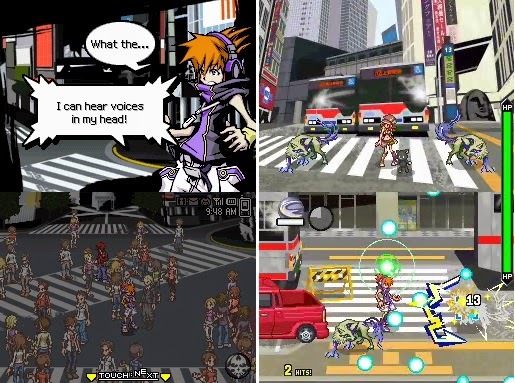 A nice experiment from Square Enix that paid off immensely, The World Ends With You takes a modern day approach in Shibuya, Tokyo. You played as Neku Sakuraba, journeying through the city streets and initiating touch-based combats, using swipes, taps, and more to defeat creatures of all shapes and sizes. Collectible pins enabled different abilities and benefits to make battles more manageable, especially for those who have problems adjusting to the high learning curve of the battle system. The World Ends With You was just a novel RPG to play when I originally did in 2008, and I'm happy that Square Enix took a risk with a new IP. 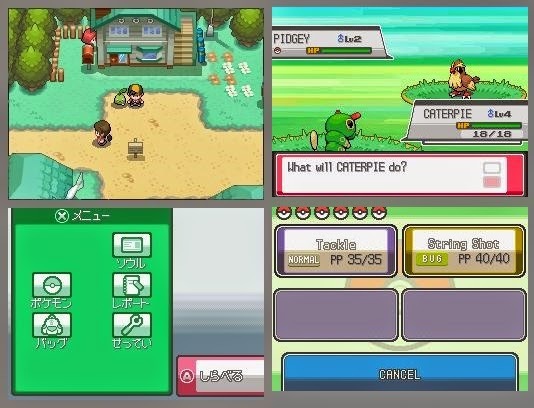 The first of two remakes on Nintendo DS enters the fray with Pokemon HeartGold and SoulSilver, remakes of the Game Boy Color classics, Gold and Silver. As someone who never played the originals, this batch of remakes was an eye-opening experience. It was almost overwhelming in how much there was to do, Pokemon to catch, battles to wage, gym leaders to beat, badges to earn, areas to explore, and collectibles to attain. Now, both Pokemon games are the highlight of the series for me, and I can only imagine how much I'd love these remakes and appreciate them had I played the originals. 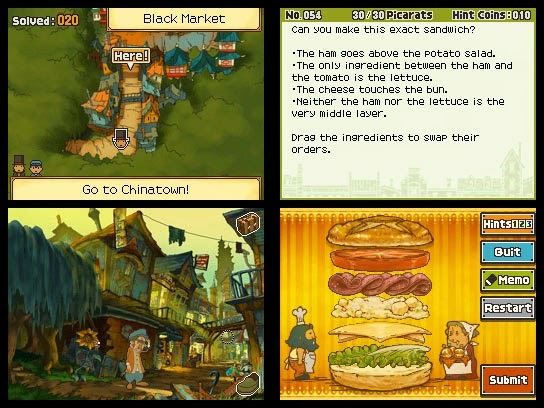 The third entry in the Professor Layton franchise, as well as the most recent in the series' timeline, Professor Layton and the Unwound Future was the near-perfect Professor Layton experience. It had the most heartfelt, touching story in the series, it had a plethora of incredible, brain-wrecking puzzles to solve, a lovable cast, clever plot twists and mysteries, and enjoyable mini-games on top of everything. While later Layton games fixed issues of the Nintendo DS entries, I still love the Unwound Future installment for being the height of the series, and looking around the Internet, I don't seem to be alone on this assessment. 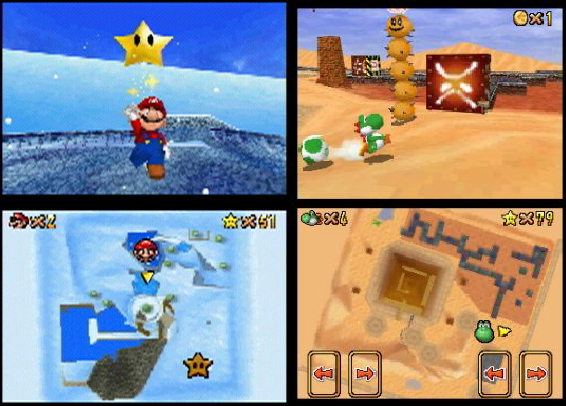 Like with the Nintendo 64, the Nintendo DS saw Super Mario 64 at its launch. 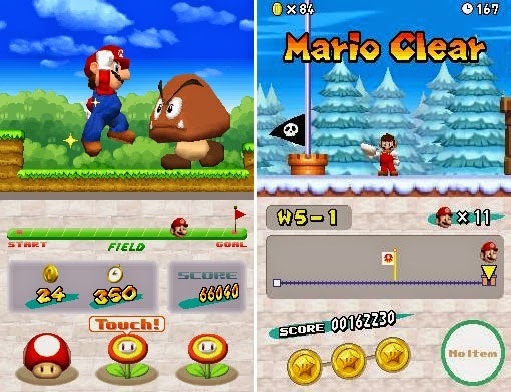 This time it was in the form of a remake, Super Mario 64 DS, offering four playable characters, updated visuals, and 30 extra power stars to collect to make for a total of 150. As a lover of the original, I did miss having pure analog controls, though the thumb pad to move around the touch screen was a somewhat serviceable substitution. Although the controls weren't as smooth as the N64 original, the bonus content in the form of the aforementioned 30 extra power stars, extra areas specially created for the game, and the myriad of engaging touch-based mini-games made for a Nintendo DS launch title that I was able to enjoy into the subsequent months of no new games to play until Kirby the following summer. The Castlevania series is one of gaming's most storied franchises. While the series recently hasn't been as exciting due to moving development to a Western studio, we always have the classic and Metroid-styled Castlevania games to look back on and play. Dawn of Sorrow was the first of three Castlevania games on the Nintendo DS, and it was my first ever introduction to the Castlevania series. Everything from the level design of journeying inside and outside a sprawling castle, to the presentation and whip and sword-slashing action was high quality. 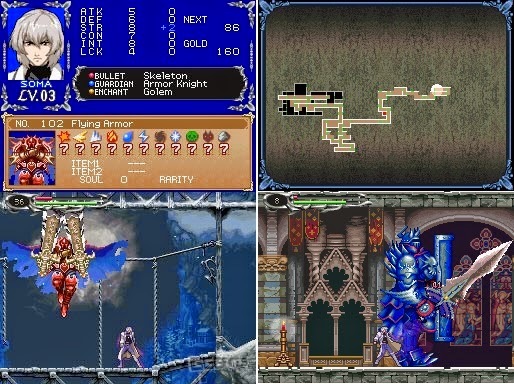 Sure, there's some thrown-together touch inputs here and there, but it doesn't stop Castlevania: Dawn of Sorrow from remaining one of my favorite DS games and one of my favorite Castlevania games. This next game on my list was the first Nintendo DS game that really cemented the idea that touch controls weren't just some gimmick best left for mini-games. 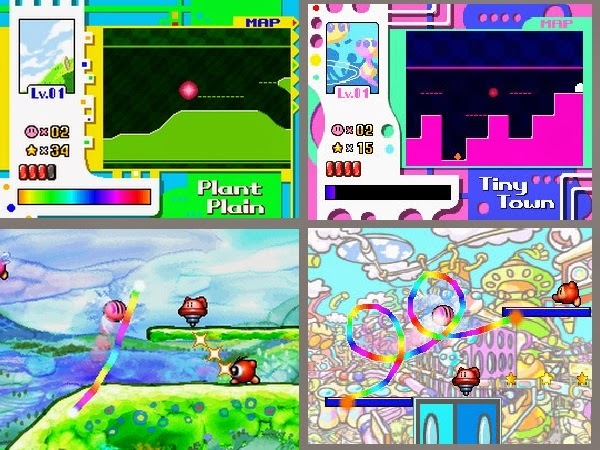 Kirby Canvas Curse was not just the first great example of touch screen gaming, having players draw lines to guide Kirby and friends around the game's many levels, but it was also the first wholly original Nintendo DS game that I truly loved. With an unexpected but very welcomed sequel appearing on Wii U in February of next year, I'm glad Nintendo is returning to this highly innovative and enjoyable concept. While I am not in the camp that detested The Legend of Zelda: Phantom Hourglass, the first Nintendo DS Zelda game, I don't find it a top-tier game in the series. I actually find it to be a weak game in some regards, particularly the repeated trips to the Temple of the Ocean King. That said, the second Nintendo DS Zelda entry was The Legend of Zelda: Spirit Tracks. Going along the lines of Phantom Hourglass, Spirit Tracks was purely touch-based, using swipes for sword slashes and guiding Link around with movements of the stylus. It was a clever control scheme that I found myself enamored with, though nothing beats traditional controls for more complex and challenging Zelda games. 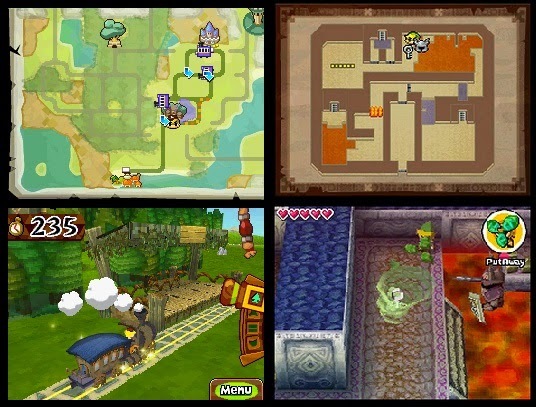 Anyhow, Spirit Tracks fixed many issues that plagued Phantom Hourglass, such as tedious backtracking, poor music, an overly boring overworld, among many others. It's not the quintessential Zelda, but Spirit Tracks delivers on most aspects regardless. The biggest draw to Animal Crossing: Wild Word, online play, might not be a part of the package any longer due to the Nintendo's DS online services being offline for good, but the offline portion of Wild World is great still. Of course, my best memories are inviting friends from across the country and the world to visit my town, see the sights, humble me with their kind words, and have us play games like hide and seek or hit-each-other-with-nets. 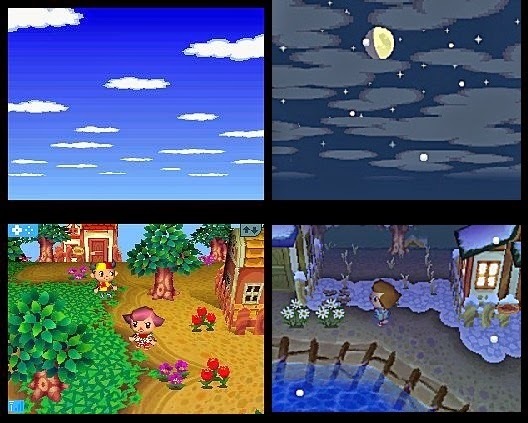 What Wild World was was a total upgrade to the GameCube original Animal Crossing, translating gloriously to a handheld device. You indeed had the whole world in your hands with Animal Crossing: Wild World. 2) New Super Mario Bros. There was once a time when gamers craved for a brand-new Mario and it didn't seem so commonplace. That time was around 2005, and Nintendo delivered unto fans the first 2D Mario side-scroller in approximately a decade. With a wide array of horizontal and vertical scrolling levels, creative boss encounters that weren't as simplistic as the various Koopaling battles of later NSMB games, and gold star coins to find in each stage, New Super Mario Bros. was a fresh experience. While newer NSMB games are still top-tier platformers, the original remains an important game in Nintendo's history and the Nintendo DS' library. Just don't expect great music without "BAH, BAHS." To me, this number one pick of mine for top Nintendo DS game, Mario Kart DS, was the pinnacle of Mario Kart in terms of content. 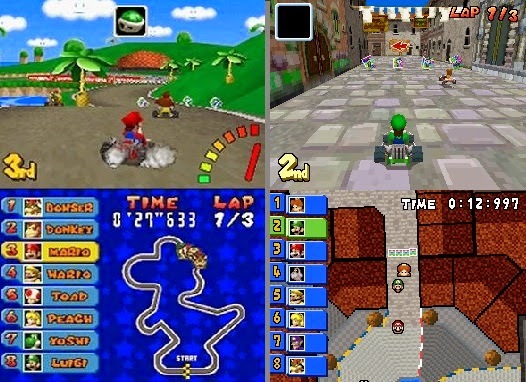 You had 32 tracks to sink your teeth into, half new, half returning from past Mario Kart games. There was a favorite feature of mine, Mission Mode, which beefed up the single-player content of the game significantly, even having you face familiar foes and bosses outside of doing in-game tasks like collecting a certain amount of coins or driving through series of flags. Let's not forget that Mario Kart DS was one of the first Nintendo games with online, albeit simplistic even for that era's standards. Oh, and did I mention that the racing, an important factor of a racing game, was immensely well done? Just in case I hadn't, there it is! What it all boils down to is a fantastic kart racer for anyone who loves wacky, whimsical fun. What Nintendo DS games are your favorites? Feel free to list as many games as you'd like-- no need to just cut it down to ten like I did!